"Emails" seems to be the key word for the anti-Hillary Clinton movement this election. Not only her own emails from her time as Secretary of State, but now the large number of hacked Washington insiders that have had their emails posted by the likes of DC Leaks and now Wikileaks. 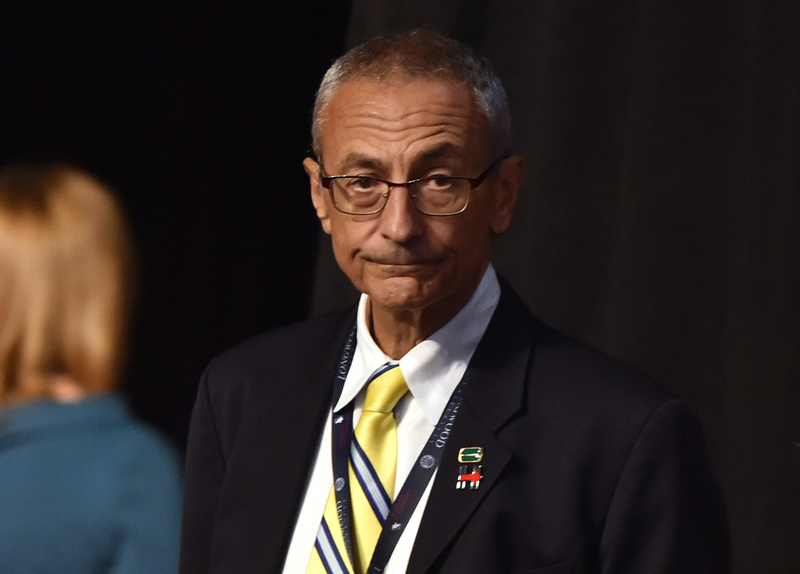 The latest victim is John Podesta; he acknowledged the hack Tuesday, Oct. 11. There's plenty of information that's certainly frustrating for the whole Clinton camp, but if you're wondering if the Podesta emails should change your mind about Clinton, the answer is an easy no. The emails can't take away from her time as Secretary of State or senator for New York, just like they don't speak to her time in the White House as First Lady or her many years in public life in Arkansas. Sure, there are some embarrassing speeches she gave to Wall Street and her strategy on a number of issues is discussed. But she's the same candidate as last week, regardless of these emails. Even Fox News' coverage of the emails' contents was pretty tame. Their top seven "revelations" included few pieces of data that should change how you feel about Clinton. An aide called Chelsea a "spoiled brat," Bill Clinton got upset about the close primary in New Hampshire, and the Clinton campaign was prepared to take on the Sanders campaign. Nothing earth-shattering there. Of course, her aides wanting Trump to win the Republican nomination sounds odd when that clearly hasn't been good for anyone, but Clinton didn't say it. Others won't like the discussion of when to come out against Keystone XL, but that's over and done with at this point. The emails claimed that Saudi Arabia and Qatar give funds to ISIS, which could come back to hurt a Clinton administration if she wins in November. But still that's not a big enough problem that would make you choose Trump instead. The only truly problematic things that came out of Clinton's mouth were not from her emails, but rather from transcripts of her Wall Street speeches. But even taken fully in context, they're not so bad. Clinton admitted she was out of touch by contrasting her current life with her time growing up, when she lived a very middle class life in suburban Chicago. "And now, obviously, I'm kind of far removed because the life I've lived and the economic, you know, fortunes that my husband and I now enjoy, but I haven't forgotten it," she said referencing her way of life as a kid. But I would argue even that doesn't matter. She's not living a typical middle class life because she's busy being a diplomat and politician — that's what made her so qualified for the job. And that's the way it works: many of these jobs pay quite well. The fact that she hasn't "forgotten it" is what we should really be focused on. The Trump campaign should know this, too, and not try to use the emails as their path to salvation as his campaign falls apart. Podesta made that even harder when he worked to connect the leaks to Russian intelligence agencies. "This definitely is the first campaign that I've been involved with in which I've had to tangle with Russian intelligence agencies who seem to be doing everything that they can on behalf of our opponent," Podesta said Tuesday to reporters on Clinton's plane. But for the average voter, it's not Russian involvement that's the deciding factor; these are not issues that matter significantly in this election. Clinton's prepared to an extent that few before her have been. That's more than enough reason to vote for her.